You have the ability to play a pre-recorded message when something is detected! By default, this feature is turned off, but you can follow the instructions below to turn it on. Let someone know there’s a security system present to detect and deter. Get visitors/burglars to look at the camera to more clearly see their face. Act as a deterrent for poor behavior if people know they’re being recorded. The messages available for this feature are all of the pre-recorded messages (including seasonal holiday sounds for Halloween, Thanksgiving, winter holidays, and more) plus a special “chime” message. The chime is designed to alert visitors that they are being monitored by a security system. The default sound to play will be a “chime”. 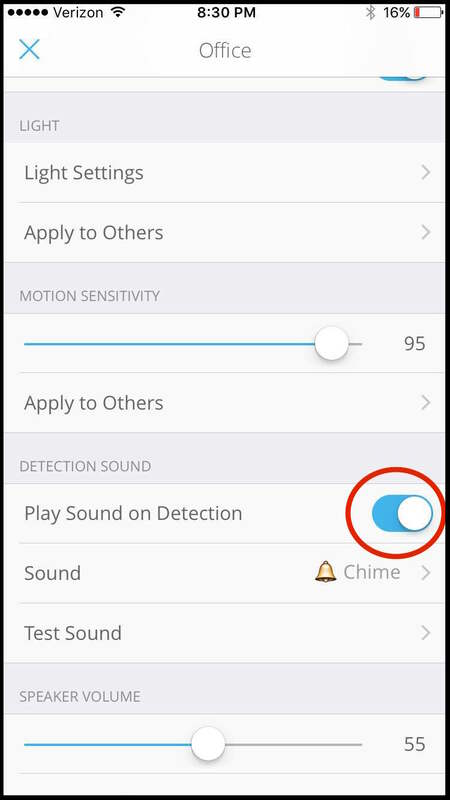 After turning on the top-level “Play Sound on Detection” switch, you will not need to configure any more settings for the default setup, and your device will now play the chime on a detection! 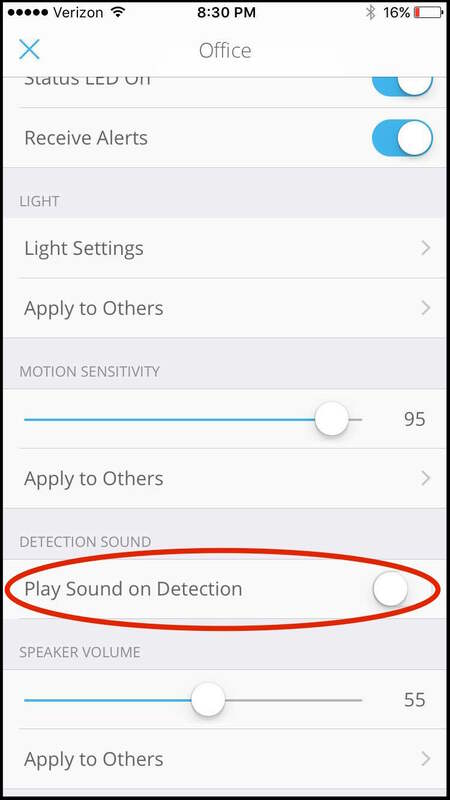 If you wish to change the sound being played, you can do so in the “sound” field which appears beneath the “Play Sound on Detection” toggle. After choosing a new sound from this list, it is automatically applied to the device, and you’re all set!